Anti-nausea medications are used for stomach aches and pains, but can also be used to calm the area if it's being over-reactive. These medicines can be administered in several ways as well. Though tablets are today's standard, there is also a gum available that can help sooth the stomach without having to worry about taking a pill. On top of soothing a stomach ache, these medications are great for other stomach ailments such as morning sickness, carsick trouble and in some cases chemotherapy-related nausea. Other Medicinal Uses: Many stomach-type medications help with digestion or loosening of stool for better relief. Anti-nausea medications soothe the stomach by preventing nausea due to any type of motion sickness. 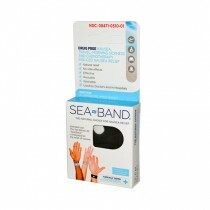 Types include car, air or sea sickness as well as general motion sickness from other causes. Rugby's Meclizine HCL Anti-Nausea Tablets has a tablet available that's easy-to-swallow and works quickly on alleviating stomach issues during long-term travel. Delivery Methods: Anti-nausea medication has come a long way from its standard delivery method of a pill or fluid. On top of having the pill option available, there are also tablets and even chewing gum. Tablets are small in size, making them easy to swallow and can be used by anybody. 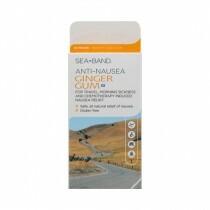 Sea-Band's Sea Band Anti Nausea Ginger Gum is a completely non-ingestible source of anti-nausea medication that you don't have to swallow. This type of delivery also has a flavor and has an added benefit of relieving sickness from chemotherapy-related treatments. Gluten-Free and Sugar-Free Options: If a person has problems with digesting gluten or sugar, there are options available that will prevent further reactions to your body. Sea-Band's Ginger Gum is made completely gluten free so you can chew all day without worry. The Meclizine HCL Tablets do not contain any sugars; which works great for diabetics or those watching their sugar levels. All of these will work well for the next time you'll be on a long trip. The choice is made strictly on preference, and the variety of delivery methods available make narrowing the choice down a simple one.